Whenever I receive a Glossybox in the mail, I'm always surprised. Probably because it always comes much later than my other boxes so I kind of forget about it. Nonetheless, it's usually a pleasant surprise. 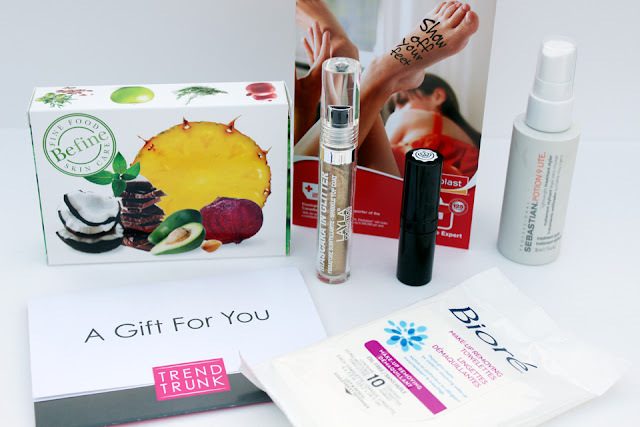 August's box came packed with goodies. A nice range products. 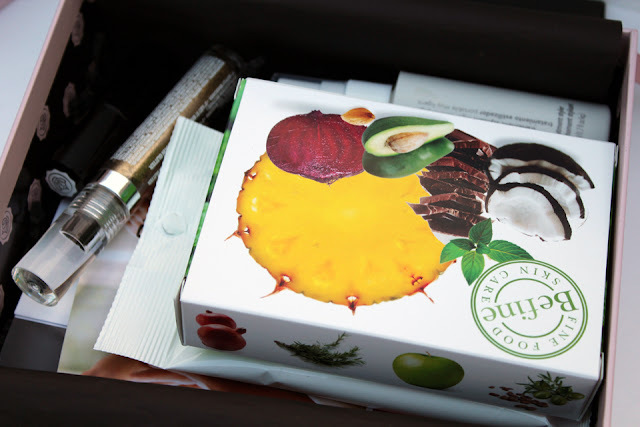 This may be my favourite box so far because of the different products I received. A night cream - with cocoa, millet, and rice bran. It's supposed to boost circulation and support collagen growth. A pore refining treatment scrub - with coconut, jojoba, and citrus. It's supposed to reduce your pores and even out your skin tone. An exfoliating cleanser - with brown sugar, sweet almond, and oats. It's supposed to scrub, heal, and hydrate your skin. A gentle cleanser - with sugar, mint, oats, and rice. If you're not feeling an exfoliator, you'll enjoy this more. A warming clay mask - with cardamom, arnica, and pomegranate. It's supposed to help purify your skin. I really enjoyed reading the ingredients on these packets. The packaging is neat. 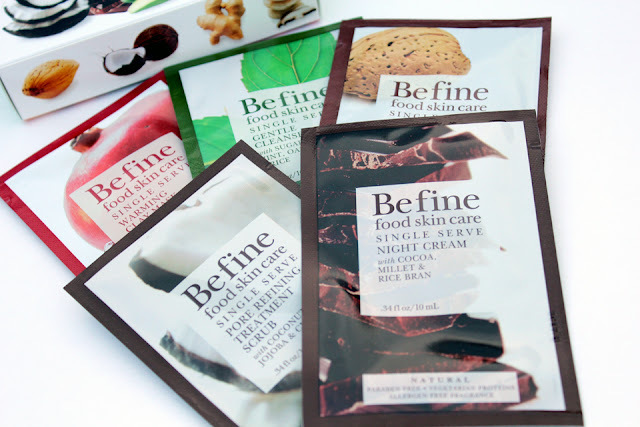 I also like that the products are all natural (i.e., paraben free, vegetarian proteins, and allergen free fragrance). Can't wait to try these. They probably smell good enough to eat. Another Sebastian hair product. I'm definitely going to be giving this away. While it sounds wonderful to use -- it's a styling hair spray that will condition, restore, and enhance while enabling manageable styling -- I will pass. I don't want to risk another breakout. I've even given away my beloved Sebastian hairspray. I am now paranoid. Two months later, my skin is finally getting back to what it was. 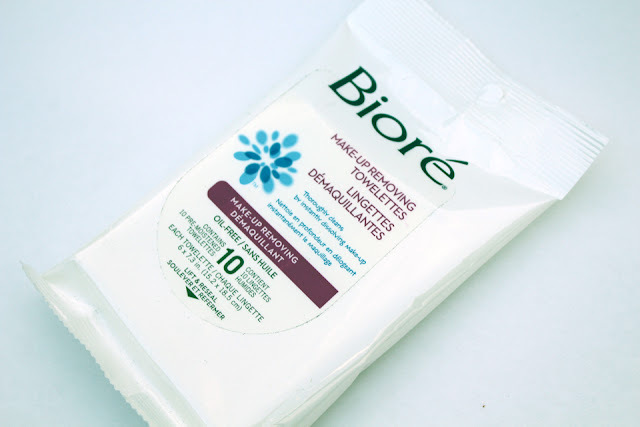 While I try to avoid using make-up wipes, sometimes I just can't help it. They're easy to use and super convenient. I like these ones because they're oil free. There's 10 in this little pack, great for traveling or just bringing around with you. I tried one the other night and it feels nice on the skin. Sometimes wipes can be a little abrasive, but I didn't find that with these. This is probably one of the more unique products I've received in a beauty box. 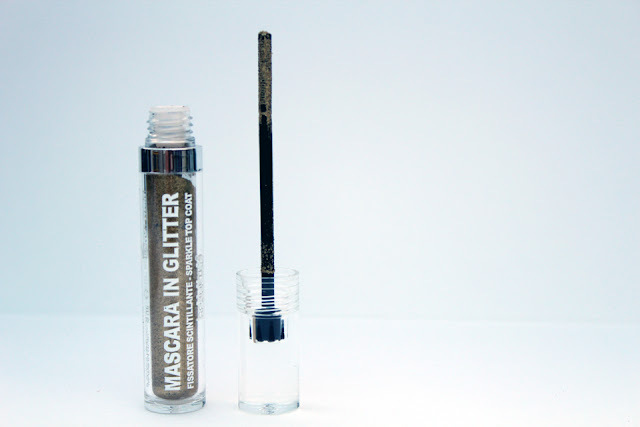 It's a glitter mascara top coat. It has the weirdest wand I've ever seen. Usually mascara wands have bristles or little pointy rubber hairs. This wand has neither. Instead, it just has ridges / grooves to dispense the glitter. I haven't used it yet, and I can't really think of a time in the near future where it would be appropriate, but it's definitely a fun idea. 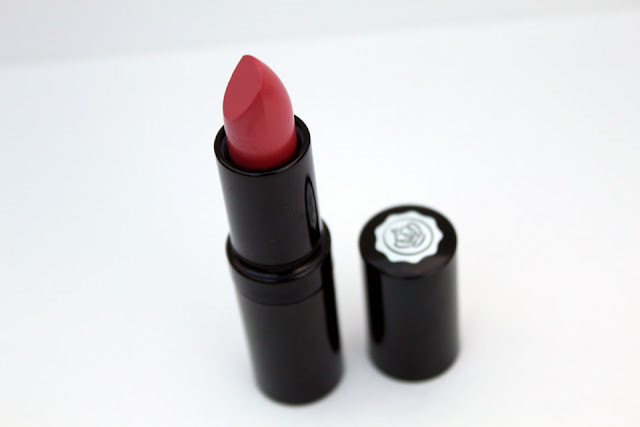 A Glossybox lipstick, how fun! The colour I received was in Glossy Pink. It's pretty pinky rose shade. It has a nice creamy formula. I actually really like the colour. It looks quite natural on... a my lips but better kind of shade. 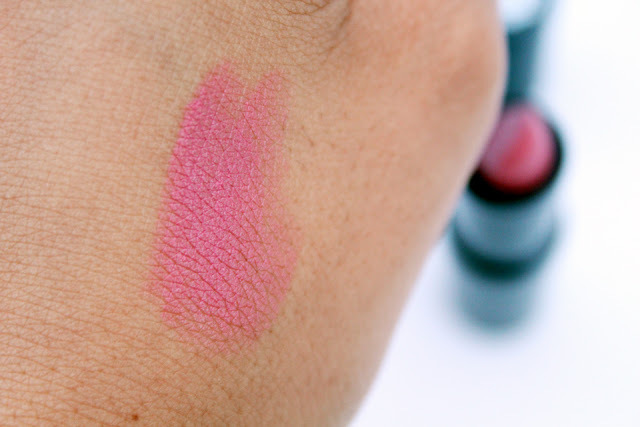 The lipstick is hydrating and surprisingly long-lasting. There were some extra products in the August box. 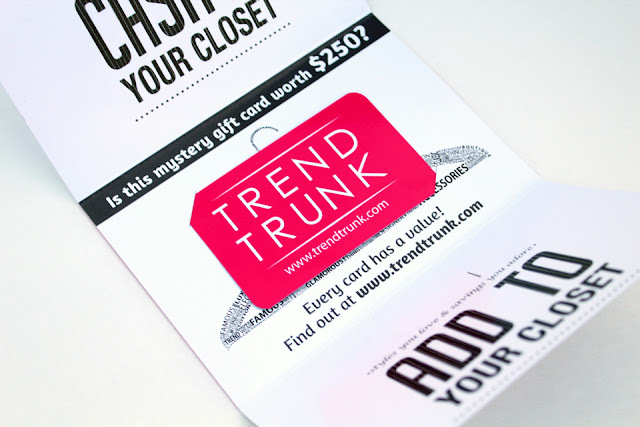 One was a mystery gift card to Trend Trunk, which I've never heard of before but it's sort of like a marketplace for clothes, etc. The mystery about this card is that you have to go online to Trend Trunk's website to find out what the value is. It could be anything between $5 and $250 (though I'm sure the odds in getting the higher denominations are slim). The second product is an Elastoplast SOS Blister. It's basically like a bandaid for blisters. I rarely get blisters but I'll be sure to keep this on hand, just in case. The little pamphlet also came with a "World Shoe Compass." This is so you'll know what your shoe size is wherever your travels may lead you. A comment I usually make at this point is that the brands I received aren't really the luxury deluxe samples that was initially promised. However, if you check out Glossybox's new website, they've revamped their taglines to say exciting deluxe beauty samples. And it's true, this box was pretty exciting and I'm overall pleased with the products. I just used two of the packets so far, and I'm loving them!!! I just posted mine on my page- I got V8! I got the same box. I don't think Glossy Box delivered what has been initially promised. When it first came out, it was one of the more expensive boxes, yet it doesn't deliver "better products". I've been with them since the beginning, but I find it not worth my time to blog about them anymore. With each box I get, I feel like I can't justify the price anymore because I always find that I'm giving the products away. I'm hoping to use up my last referral credit and just canceling glossybox all together. That's true! A $15 price tag will obviously come with higher expectations! I think they're starting to become a little more diverse with the brands. I feel like the same brands were being recycled over and over each month. Hi Aleeza, What product made you break out? Was it the Sebastian shampoo from a previous box? I had a bad breakout this week (I've never had a breakout before). 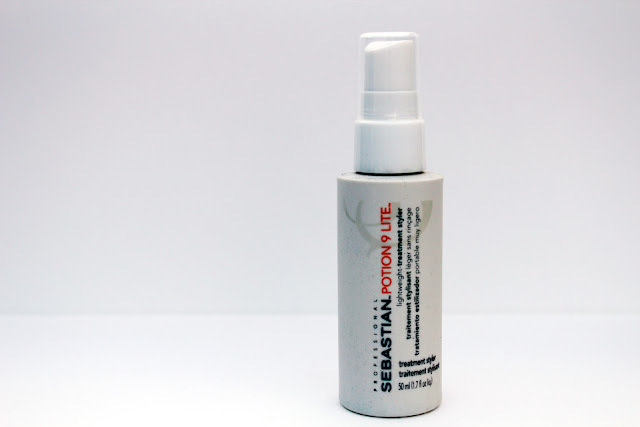 Now I'm wondering if it's the Sebastian Spray I used it a few times last weekend. I haven't used my shampoo yet. Let me know. Thanks! It was the Shampoo I received in a past Glossybox.. I think it was called Volupte something. Wreaked havoc on my skin! If you find yourself sensitive to the spray, then I would stay away from the Shampoo! I'm not sure what active ingredient is in it, but it definitely caused some awful breakouts for me.